Choose between one way camper rentals from Adelaide to Melbourne, Melbourne to Adealide, or pick up and drop off at the same location. 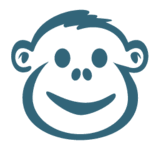 No booking fees and an easy to use campervan rental comparison tool could help you save both time and money. Considered by many to be one of the world’s great scenic drives, the Great Ocean Road along the southern ocean coast of Victoria is well worth that title. Visited annually by thousands of people from around the world, ” Surf Coast then the dramatically rugged Shipwreck Coast past miles upon miles of breathtaking iconic scenery. While the measured distance is not long, you’ll want to set aside ample time so that you can stop and explore the various attractions along the coast. 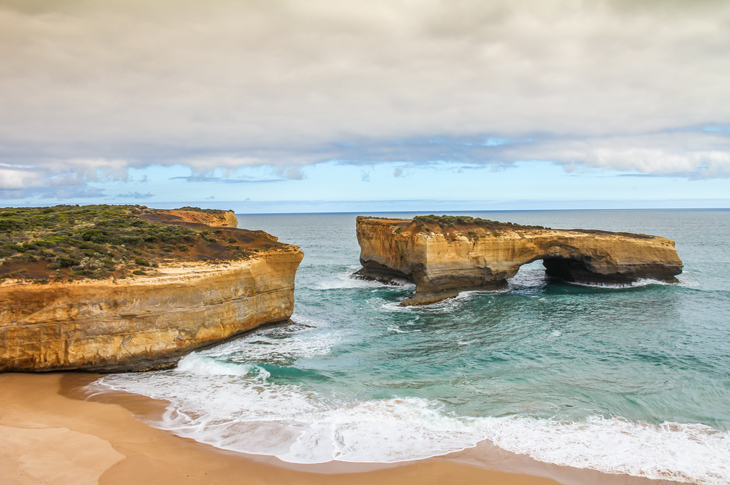 There are big bus tours that will take you out and back from Melbourne all in a long day but the best way to truly see what the Great Ocean Road is about is to drive it yourself, either in a hired car or a campervan. Allow a minimum of three days – and more if you can spare it. A photographer and adventurer’s dream around every bend, the Great Ocean Road is truly a case of the journey itself being the ultimate attraction. The Great Ocean Road officially extends 232 km from Torquay to Allansford; however, you’ll need to add 100 km to the start point from Melbourne. It’s then 600 km from the western end to continue on to Adelaide (South Australia) or 250 km back to Melbourne by the shortest route. Built to connect isolated coastal communities, the Great Ocean Road is the world’s largest war memorial, Hand built by over 3,000 returning soldiers between 1918 and 1931 the road honors those Australian servicemen killed in World War I. There is a timber memorial arch between Lorne and Airey’s Inlet. Speed limits range from 50 to 100 km/h. There is frequently congestion as you pass through towns, go by popular attractions, and simply because there are many others doing this same adventure as yourself. Along the route, phone reception can vary. While the towns on the route will have mobile coverage, there are remote areas where you could possibly be at times without service. The Great Ocean Road is both narrow and windy. It’s only two lanes wide, one in each direction though there are frequent spots to pull over. Being that you are following the coastline, it twists and turns throughout much of its length with cliffs on one side and ocean on the other. You’re likely to be driving towards the setting sun on this road, so pack those sunglasses. The coastline is not always warm – breezes can be chilly, especially after nightfall. It’s recommended to start early in the day to beat crowds. The Twelve Apostles is particularly busy mid-afternoon when the tour bus crowds arrive. Avoid driving at night – outside of towns, there are no lights along the road and it’s the time when wildlife are at their most active. If possible, share the driving. Not only can this type of driving situation be tiring, the driver doesn’t get to enjoy the views as well as the passenger. While it’s virtually impossible to get lost with only one major road, it’s a good idea to pick up some sort of touring map that shows what’s available in the towns and distances between points. 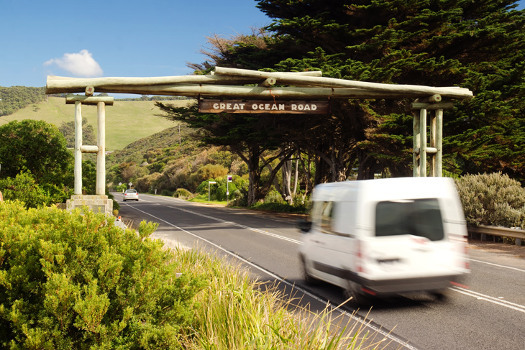 A comprehensive online resource is the Great Ocean Road official website. Stock up supplies. Carry water, especially if you plan to do any trekking. Groceries can be purchased in Lorne and Apollo Bay as well as service stations and convenience stores. You can find petrol for sale in Lorne, Anglesea, Apollo Bay, and Torquay. Always familiarise yourself with the local road rules. Victoria’s are available here. Driver’s License: International drivers can use their home country license in Victoria provided the license is in English. If it’s not, then an international driving permit or English translation is required. For full foreign driver requirements, refer to the official Vic Roads website. Car and camper rental companies in Australia typically require that your license be a full or open license – not restricted or provisional – and that drivers be at least 25 years of age. Some companies do cater to drivers as young as 18 or 21, though there’s usually a surcharge. 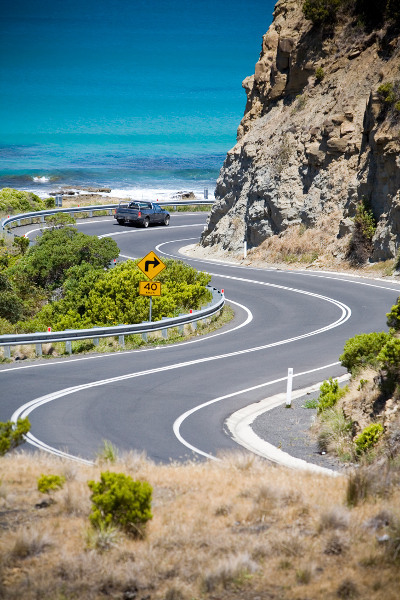 The Great Ocean Road is a popular route to drive in a campervan or motorhome and these vehicles are in general fairly easy to learn to drive. However, being that road is narrow and winding, you’ll need to be mindful at all times of your vehicle’s size. Take bends and turns especially carefully, allow extra time for slowing and stopping, and don’t hesitate to have a passenger assist you in backing and parking the vehicle. Because of the popularity of campers on this road, you’ll do best to reserve your vehicle with a campervan hire company several months ahead of time – especially during school breaks and summer holidays. 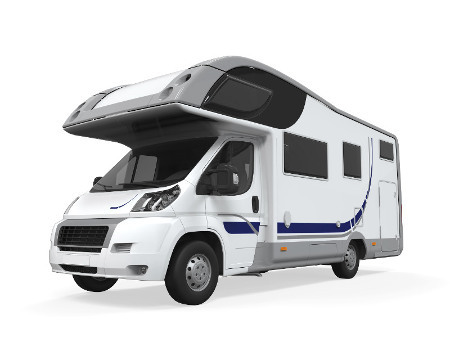 And if you’re after a cheap rental, or simply would like to save a bit, don’t forget to compare – you can use a motorhome comparison site such as Camper Champ to check availability and prices of campervan rentals. Overnight parking is only allowed at caravan parks which are plentiful along the route but may be booked up early at peak times. Groups such as Big4 and Top Tourist Parks offer affording camping with amenities such as showers, camper’s kitchens, picnic tables and BBQ, power hookups, and a waste dump point. 1. Torquay: A gateway seaside town of population 10,000, Torquay is most known for its surfing culture. There’s surfing lessons to be had, the National Surfing Museum (Surf World), and outlet stores for companies born here: Rip Curl and Quicksilver. True surf enthusiasts should seek out Bells Beach – home since 1961 to the Rip Curl Pro event, part of the World Surf League’s annual tour. 2. Anglesea: Another town known for surfing, Anglesea is where the road first meets the ocean since its start back in Torquay. A popular spot for Melbourne’s holiday makers, there’s a central strip of shops and an abundance of holiday homes, but also a golf course inhabited by roughly 300 kangaroos. 3. Airey’s Inlet: Naming itself a ‘boutique town’, the main attraction in this small hamlet is the 1891 Split Point Lighthouse perched on a cliff 70 metres above sea level. Views overlook the Eagle Rock Marine Sanctuary where can be found excellent rock pools. 4. Lorne: Known for its annual Festival of Performing Arts and 1920’s Art Deco history, Lorne is a popular place to stop for a meal and also to overnight. The main street has a Mediterranean ambiance by way of its many galleries, boutiques, and eateries and the town pier is the longest in the area. While it can be busy in Lorne, it’s a key stop for all it has to offer. Popular activities include Teddy’s Lookout at the end of George St and nearby Erskine Falls- one of ten falls within ten minutes of town. 5. Kennett River: A rare chance to see koalas in the wild is possible along the Grey Road at Kennett River, as well as colourful native birds: King Parrots, Rosellas, and Kookaburras. 6. Apollo Bay: A quiet fishing community turned into a holiday hotspot, Apollo Bay is another favourite spot for meals and overnighting. The forested hills meet the sea here and there is no shortage of eateries, shops, and outdoor activities. The midpoint along the Great Ocean Road, Apollo Bay once held a whaling station and sawmills as well as being the site of the former trans-atalantic cable connection to Tasmania. 7. Otway National Park: Often simply referred to as ‘The Otways’, this cool and lush temperate rainforest is accessible at several point just a bit inland from the communities along this stretch of coast. Highlights include Triplet Falls, Maits Rest, and Melba Gully, just to name a few. A short detour to Cape Otway brings you to the oldest surviving lighthouse on the Australian mainland, situated 90 metres above sea level. In continuous operation from 1848 until 1994, here you can overlook where the Bass Strait meets the Southern Ocean. Another popular activity in the area is the Otway Fly Tree Top Walk, at 600 metres the longest tree canopy walk of its kind. Alternatively or additionally, ziplining is also an option. 8. Port Campbell: The town of Port Campbell is greatly eclipsed by the National Park of the same name, wherein can be found the most known and loved landmarks along the route. The town itself is serviceable and attractive and certainly well positioned for sightseeing of the coastal wonders. Many travellers choose to overnight here so that they might visit nearby sites such as the Twelve Apostles at sunrise and/or sunset. 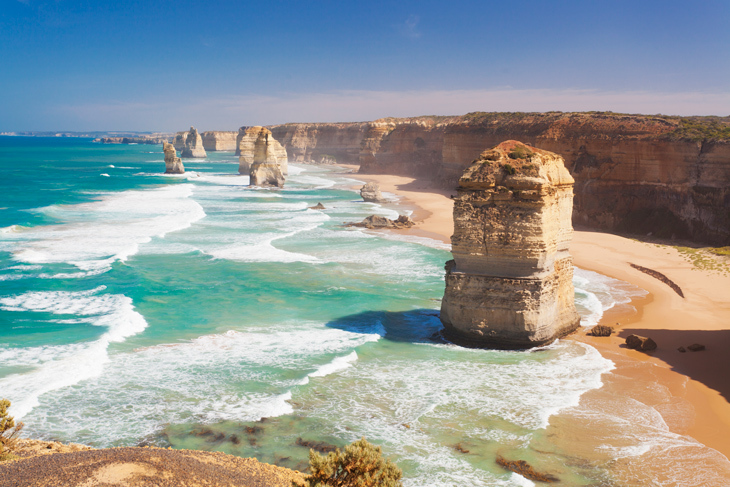 Twelve Apostles: These 45 metre tall limestone pillars have probably been your mental picture of the Great Ocean Road throughout your drive here and they are as beautiful in person as you imagine them to be. 10-20 million years ago, the ocean eroded the soft limestone cliffs into the formations you see today. This process continues at the rate of two centimetres per year meaning the coastline continues to evidence change. The original name of these rocks was the ‘Sow and Piglets’; they were renamed for tourism purposes in 1922 to the Twelve Apostles, though there were never any more than nine rocks in the group. Today, there are 7 or 8, depending on which ones you include in your count. Gibson Steps: Just a kilometre away, 86 stairs were carved into the cliff in 1869 by local resident Hugh Gibson along the route used by the region’s original Kirrae Whurrong inhabitants. Stroll down to the beach to view the Apostles from ground level as well as two other offshore stacks: Gog and Magog. Loch Ard Gorge: Over 600 sailing vessels have wrecked on the Shipwreck Coast and the stunning Loch Ard Gorge is named one by the same name. En route for three months from England to Melbourne in 1878, the Loch Ard ran aground on Muttonbird Island. Two teenagers were the only survivors out of the 54 onboard and today two stone pillars are unofficially named for them as Tom and Eva. The Arch: Eight metres high, this easily visited impressive stone arch affords a dramatic view back towards the Twelve Apostles. London Arch (formerly London Bridge): Known for years as London Bridge due to an excellent resemblance, erosion removed the end closer to shore in 1990 making it now a non-connected arch. Two tourists who had walked out onto the far end of the bridge were stranded at the time and rescued hours later by helicopter. The Grotto: Combining features of a cave, blowhole, and archway, The Grotto is often overlooked by the other spectacular attractions nearby, but there’s a walkway to allow you up close and personal and it’s definitely worth your attentions. 9. Peterborough: Smack dab between Port Campbell National Park and Bay of Islands Coastal Park, family friendly Peterborough was allegedly settled by those who came to view a nearby shipwreck. Bay of Islands lacks the name recognition enjoyed by the Twelve Apostles, but this stretch of coast holds many fine limestone formations of its own and, being farther than Melbourne, is typically less crowded. 10. Allansford: The end of the Great Ocean Road is officially in Allansford, 8 km from the much larger community of Warrnambool. The big draws in town are the Warrnambool cheese and butter factory and Cheese World, both which gladly welcomes visitors. 11. Warrnambool: At population 34,000, Warrnambool is by far the largest town in the area and has a rich maritime history. Flagstaff Hill is home to a recreated 19th century sea port and Logan’s Beach near the Hopkins River mouth is one of the best places on the coast to observe whales during the winter calving season. Other nearby favourites include Hopkins Falls and, on the road to Port Fairy, Tower Hill State Game Reserve which encompasses an extinct volcano. Continuing on towards Adelaide is certainly an option if you’ve got a few more days and want to see more of the coastline, as are inland routes back to Melbourne. A pleasant return to Melbourne can be made via Colac in just a few hours with a mid-trip stop in Camperdown where Mt Leura and Mt Sugarloaf offer 360-degree views of the coastal ranges and western plains.